El Cinco de Mayo (May 5th) is a Mexican holiday which celebrates the victory of the Mexican army over the French army in one specific battle in the Mexican state of Puebla. This battle is known as “La Batalla de Puebla” or the Battle of Puebla. 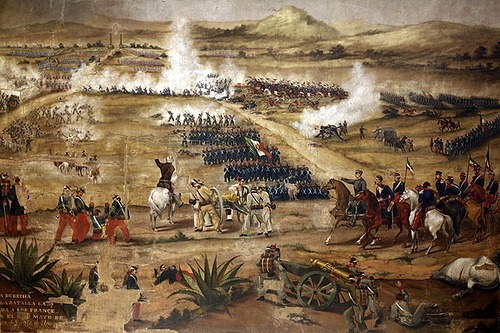 Although it was not a victory that was important in the overall as in the end Mexico lost the war, the defeat of 8000 French soldiers by 4000 Mexican soldiers was an important moral boost to the entire population of Mexico. Since the Battle of Puebla, no European military has invaded any country in the Americas. Cinco de Mayo is a national bank/school holiday in Mexico, but is primarily only celebrated in Puebla…and in the United States. Why is it celebrated in the U.S.? The holiday is generally considered a day to celebrate Mexican culture and heritage, not unlike St. Patrick’s Day being a day to celebrate everything Irish. 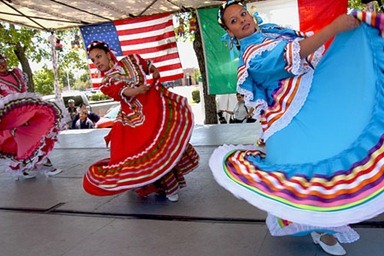 However, the first observance of Cinco de Mayo is thought to have taken place in California in the 1860s when Mexican miners celebrated the French’s defeat in the Battle of Puebla. The holiday began to gain momentum in the U.S. between the 1940s and the 1960s but became really popular in the 1980s when marketers, and more specifically beer companies, started to promote it. Tomorrow Cinco de Mayo will be celebrated in the cities with the largest communities of citizens of Mexican ancestry (respectively); Los Angeles, Chicago and Houston, and in many other cities and towns all over the U.S. Wikipedia reports that “As of July 2009, Mexican Americans make up 10.3% of the United States' population with over 31,689,000 Americans listed as of Mexican ancestry,” so it is only right that the U.S. celebrates their rich Mexican culture. Besides, it’s the perfect excuse to listen to mariachi music, eat tacos and enchiladas, and drink Mexican beer and margaritas! Viva Mexico!